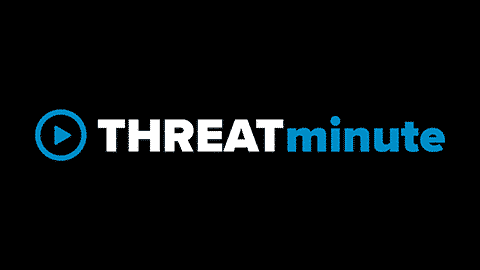 At the 2016 Black Hat conference in Las Vegas this week, attendees can get an early look at our updated Threat Intelligence Dashboard, a module that our customers have long relied on to serve as their single pane of glass into their security posture. Our new Unified Enterprise Security (UES) Dashboard enables proactive defense, enhances customization and improves reporting insight, all with the objective of strengthening an organization’s cyber security. The two key enhancements are data visualization and incident reporting. Visualizing data is a huge advantage for communicating complex information quickly. According to research, our brains process visual information 60,000 times faster than text and 90% of the information transmitted to the brain is visual. When it comes to reporting, one quarter of security decision makers surveyed by Forrester Research on behalf of Masergy in a 2016 study “Rethink Your Security Strategy” indicated that reporting and measurement were key reasons they were considering or had implemented a Managed Security Service Provider solution. The UES Dashboard now sports 24 user-customizable presentation widgets that enable security analysts to visualize data in the layout they prefer for their realtime view. Customers have the ability to define and label the data they want to see and the groups they want to explore, putting the infrastructure views they need in the format they want. Gain a long-term view of threats, exploits and software vulnerabilities with our upcoming enhanced reporting. In particular, the UES Dashboard will accommodate customers’ most requested feature, a new API that enables them to track and remediate UES security tickets within customer-standardized IT ticketing systems. That way, they become part of existing remediation workflows. We’re responding to customers’ message that it’s important to have efficient insight into how effectively security and policy threat tickets are being resolved, either by their own teams or by our security experts on their behalf. Dynamic documentation allows quick and easy learning of ticket API capabilities too, a plus since we think exposing the API to our customers means they can experiment with new ways of using it too. If you’re at the Black Hat conference this week, or just reading about it on the web, you know the only way to maintain your organization’s security is through constant vigilance. We think our UES Dashboard update goes a long way towards helping out on that front. We look forward to our customers checking out it out and letting us know what they think. Visit Masergy at Black Hat USA 2016 at Booth 1360. And learn more about the UES Dashboard.